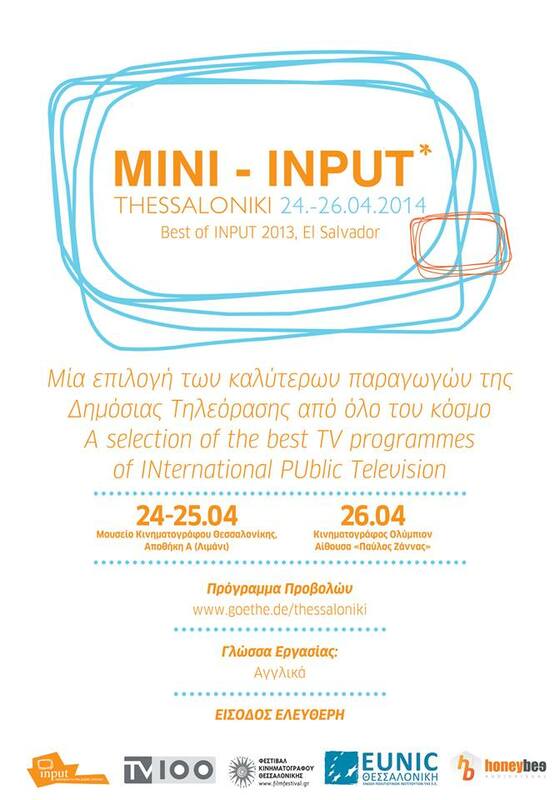 Mini-INPUT 2014 in Thessaloniki, Greece is already history and the preparation for 2015 will start by attending the main INPUT event in Helsinki in May. For 2 days, the best programs produced by or for public televisions from all over the world were screened at the Thessaloniki Cinema Museum under the auspices of Goethe Institut Thessaloniki, EUNIC, the Thessaloniki Film Festival and TV100. Observer at BDC Discoveries 2014!